Rent Chateau Monroe | Corporate Events | Wedding Locations, Event Spaces and Party Venues. 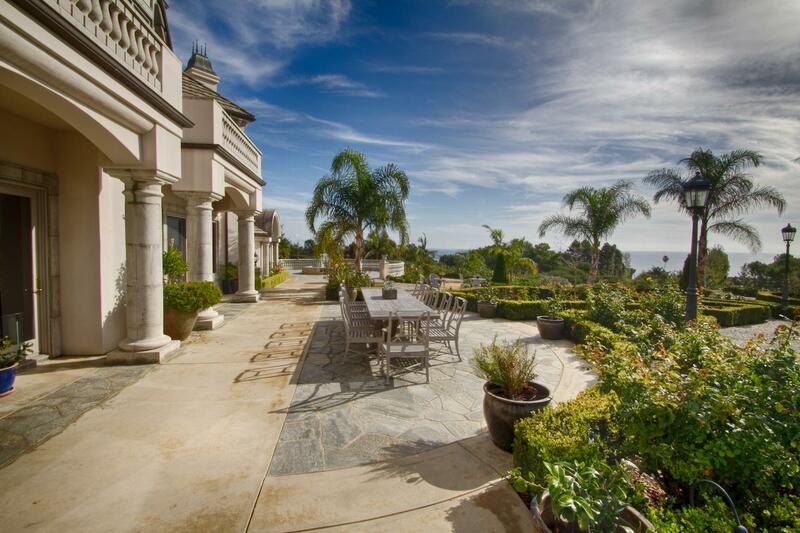 Chateau Monroe is a beautiful French-inspired Malibu estate on a five acre bluff overlooking the Pacific Ocean. Expansive 180 degree blue and white water views, nestled on a Mougin Hillside in the French Riviera. The vintage French architecture with elaborate "Fontainebleau" rose gardens covers one full acre of level terrain with walking paths, cultivated landscaping, water visage and award-winning bronze sculptured fountains. The estate features a 400-foot driveway with inlaid stone and granite cobble stone, a circular turnaround, and large flat wedding ceremonial area overlooking hundreds of roses with the crystal blue Pacific Ocean as the perfect backdrop. Chateau Monroe is a lover’s paradise-- a must for the once in a life time wedding experience. -4 en-suite bedrooms in the main house, and a self-contained apartment with bedroom, kitchen and bathroom. -Perfect mix between the tranquility and beauty of the South of France coupled with easy access to the more touristic destinations in the riviera. -Mezzanine level furnished with mattresses, great for the children.